A penny for your thoughts? On one hand, you have a boxing savant and paragon of perfection, possessing a plethora of athletic gifts at his disposal. On the other hand, you have an unwavering throwback warrior that's no stranger to throwing a dizzying 100 punches a round that are as accurate as they are powerful. What makes this match-up so intriguing is that it's a perfect dichotomy. 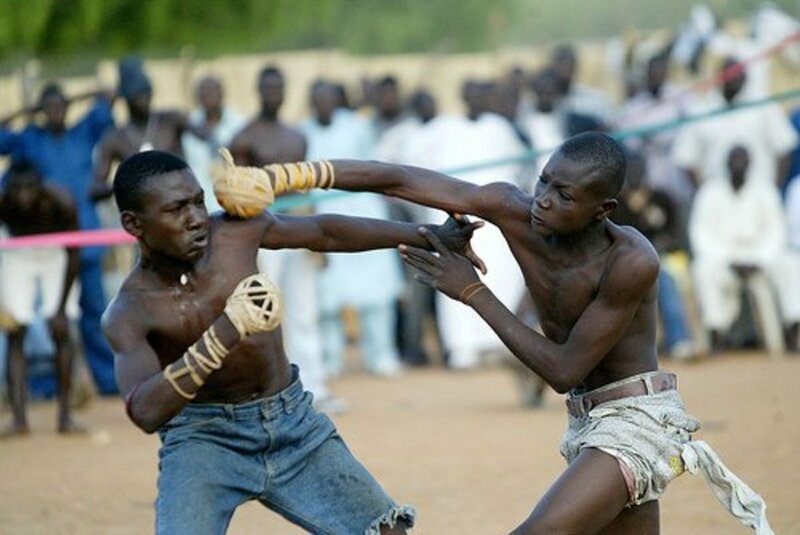 The amalgamation of the irresistible force and the immovable object has created a buzz in boxing circles(for that matter sporting circles) to the likes of which haven't been palpable in years. Look no further, as I will give you one of the more comprehensive breakdowns, leaving no stone unturned. Firstly, lets take a look at the measurables. "Money" Mayweather is in a class all his own. 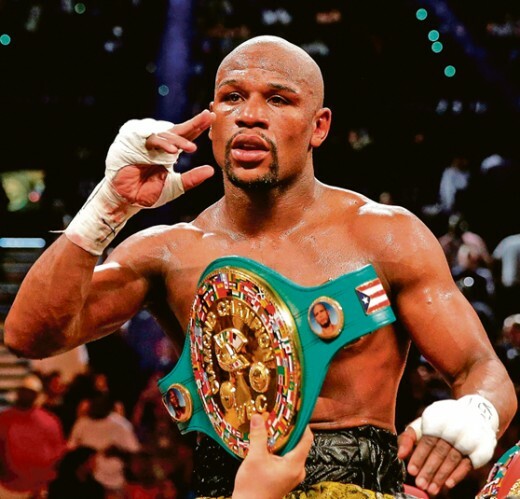 If the objective is to hit and not get hit, an argument can be made for Mayweather Jr. being the greatest fighter to ever lace up a pair of gloves. He's a far cry from the usual mold of a professional boxer in the sense that he simply doesn't get touched! In a sport where that seems inevitable and 'part of the territory', Floyd is truly one-of-a-kind. A true anachronism in a sport steeped in flat-noses and detached retina's. The shoulder-roll he has scientifically perfected has proven impregnable and one of the greatest defensive maneuvers in boxing history right up there with Ali's lean and pull-counter. When Floyd simultaneously counters with his straight right hand off that shoulder roll, the success rate is off the charts. His connect percentage is double that of the second closest fighter which happens to be Andre Ward(an undefeated Olympic gold medalist). The empirical data compiled by CompuBox, boxing's statistical tracking service, is perfect corroboration. Floyd Mayweather is a master dissembler. He wants you to believe all he does is run the other away in the ring and try not to get tagged. That allows him the efficacy to sting you with punches and enervate ANY game plan his opponents and their trainers devise. Before you know it, he's up four rounds to zip and you can see the wind being sucked right out of the opposing fighter and his corner. They find themselves admitting,"Wow, he really is that good..." He operates the same way out of the ring. His pre-fight ritual is filled with guile and ingenuous behavior, but's it essentially a front. There's definitely a method to his madness. The reason I say this is because when he steps through the ropes, he's all business and is as cool as the other side of the pillow. Rarely, does he clown around. 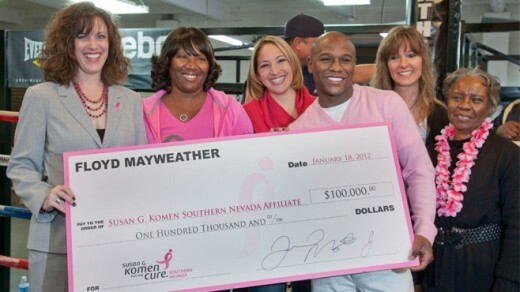 People don't ever like to talk about the philanthropic side to Mayweather, either. 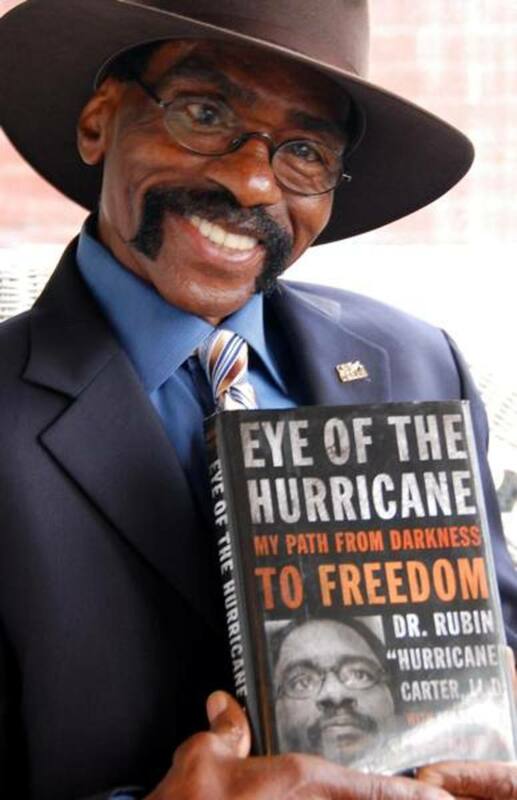 He runs a free boxing camp for disadvantaged youth (annually) at his gym in Vegas; personally hands out a truckload of Thanksgiving turkeys every year to the Las Vegas homeless; and even has his own self-titled charitable foundation. His venomous invective aimed at the opponents, is his way of toying with their psyches. Riling up opponents to the point where they want to take his head off plays right into his hands(literally). Just ask Victor Ortiz...Muhammad Ali was very similar in the mind games he played before a bout; just a different approach. You don't believe me? Again, ask George Foreman. History has taught us that Floyd is chameleon-like in terms of adaptability inside the squared-circle. We've also learned that there is no blueprint to beat the pound-for-pound champ. Forty-seven have tried; Forty-seven have failed. When the Pac-Man cometh, you better duck and keep your chin tucked! As the first and only eight-division world champion, Emmanuel Pacquiao is the perfect Yin to Mayweather's Yang. 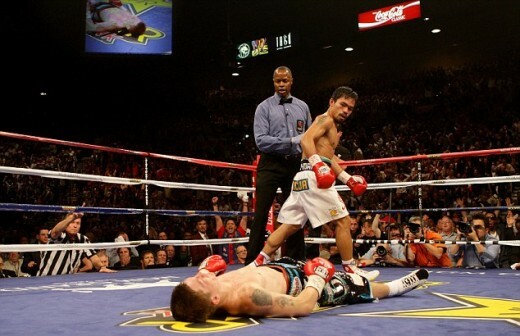 Pacquiao possesses the one gambit that can turn the tide in an instant, and that is devastating knockout power. He is the second coming of Roberto Duran; a man with serious boxing skills that can put you to sleep with either hand. 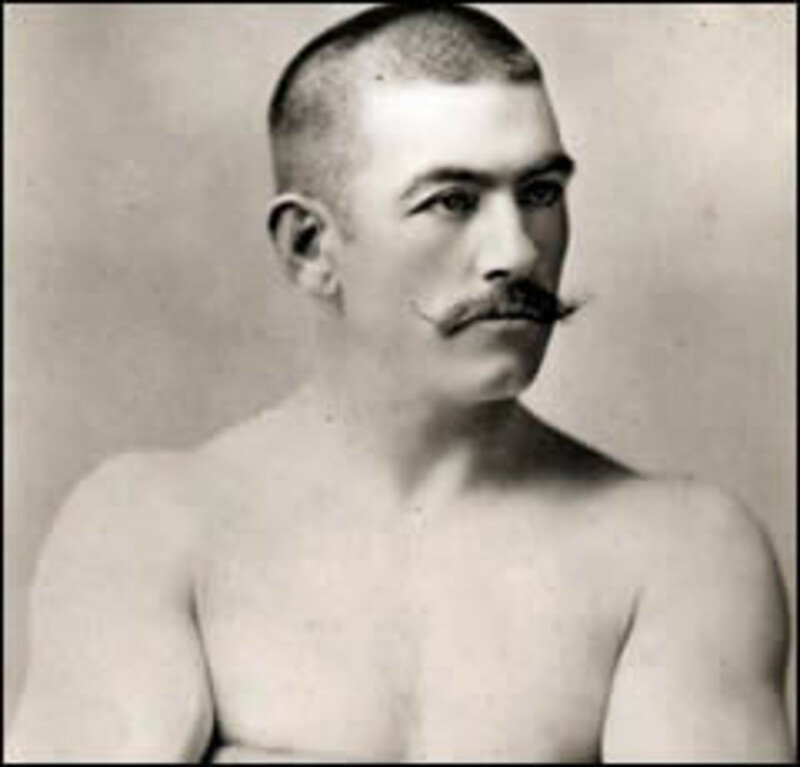 He has cut through eight divisions of professional boxing like a hot knife through butter. He is all bite and little bark. His story reads like a fairytale, as he turned to boxing to support his family as an alternative to selling doughnuts on the streets of General Santos City. The first time (trainer Freddie Roach) held the mitts for a young Pacquiao he remarked, "This kid can really fight". A star was born as soon as he climbed the steps to the Wildcard Boxing Gym in Hollywood, California. He still fights as if he were a starving teenager living on the streets trying to provide for his loved ones. He is reported by Forbes to have mad around $335 million in his career, but you can't tell by the way he prepares for fights. 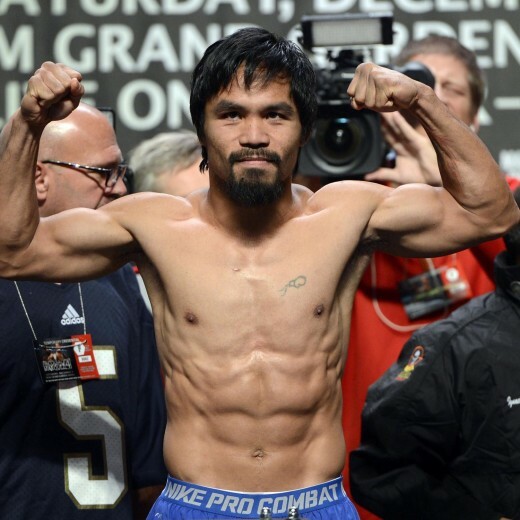 Another reason why you can make a case for Manny, boils down to one name...Freddie Roach. A pugilist specialist, Roach has been voted 'Trainer of the Year by the Boxing Writers Association of America in 2003, 2006, 2008, 2009, 2010 and 2013. You must admit, with a guy like that in your corner, you're never out of the fight. If Manny can catch Floyd with a straight left or lead right-hook he can spoil the great American's path to boxing immortality. 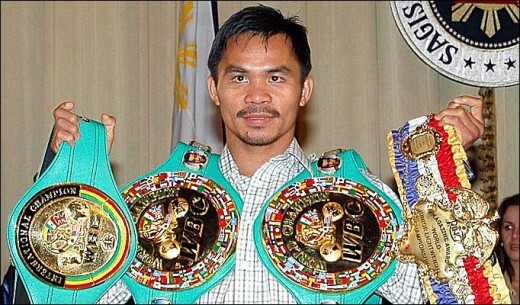 Now, I present you with distinct advantages Manny will bring to the dance on May 2nd. 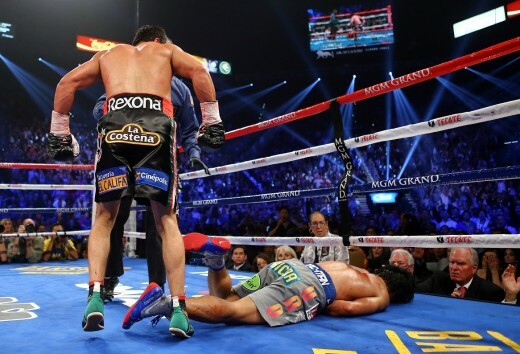 History has taught us that Pacquiao can end a fight in one shot like a heavyweight. The scary part of Manny's power is that it has effectively ruined the careers of great fighters. He pummeled Oscar De La Hoya in their meeting which was one of the most lopsided contests I've ever seen , transforming his money-making face into an unrecognizable heap of blood and lumps(Oscar retired shortly after). The earth-shattering knockout of Ricky Hatton was all she wrote for one of Great Britain's greatest fighters. I actually paid for that fight and it was over in two rounds....but I digress. The whooping he gave Antonio Margarito or "the scoundrel of boxing" as I refer to him, put an end to the mediocre rise of that disgraceful champion. He broke his (Margarito's) orbital bone and nearly killed the guy which was poetic justice in my opinion, as harsh as it does sound. Can he do the same to the like of a great champion such as Mayweather? That remains to be seen. 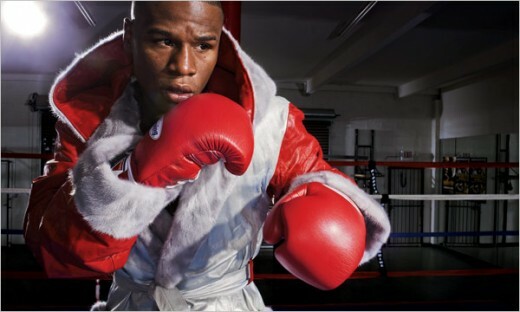 My pick to win the big showdown is Floyd Mayweather Jr. Mayweather was just born to do this. He was in the gym with his dad Floyd Sr. and uncle Roger since he was in pampers. He was hitting speed-bags and heavy-bags before most of us leaned how to talk. If you've ever been in a boxing ring, you're cognizant of how hard it is to not get hit which elevates his greatness that much more, in my opinion. Not only that, but to throw punches sparingly and connect with laser-guided precision is truly remarkable from an outside perspective. For those that complain of his level of competition and that constantly hit me with, "Who has he fought?" and "Yeah, he's good but he doesn't fight anybody", allow me to give you a little religion. Floyd knocked out an 'undefeated' Ricky Hatton (stepping back) with an awesome "check left-hook" which is a punch that only few in history have the athleticism/skill to pull off. He beat a hungry and game Shane Mosley,after rebounding from a hard shot delivered by "Sugar" early in the fight. He beat an undefeated Mexican blue-chip prospect named Canelo-Alvarez who many believed was his biggest test in years. Floyd went out and put on a clinic, taking "Canelo" to boxing school. 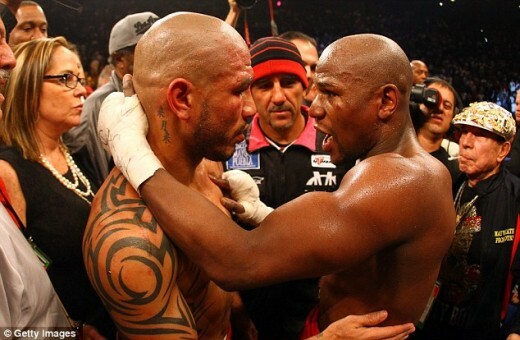 Oh and not to mention the fact that he has wins over Oscar De La Hoya as well as Miguel Cotto. 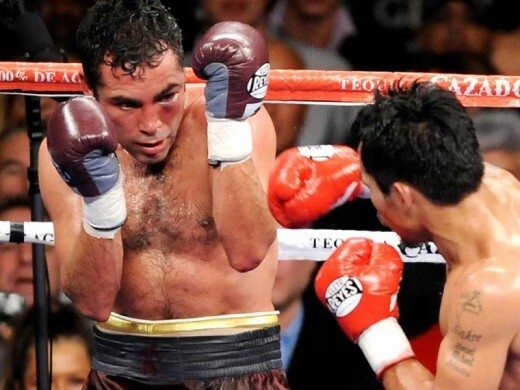 The best supporting evidence I have in regards to a potential Mayweather victory over Pacquiao was his demolition of a certain Juan Manuel Marquez. The best piece of evidence I have to go off of when formulating a prediction is Mayweather Jr's fight with Juan Manuel Marquez. That name may strike fear in the hearts of Pacquiao fans but certainly not Mayweather supporters. 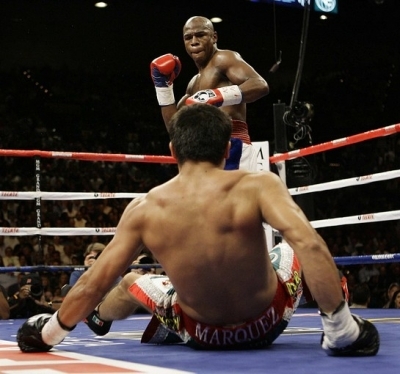 Mayweather dominated the same guy that put Pacquiao to sleep, for 12 rounds of easy-breezing and even sent the great Mexican fighter to the canvas. This was the guy that gave Pacquiao problems in four separate fights and eventually knocked him out cold. What's even more telling, is the fact that Mayweather was coming off a two year layoff! The clash with Marquez was just a way for Floyd to shake the rust off and it essentially turned into a televised sparring session. This is the best evidence I can come up with to corroborate a win prediction for Mayweather. It's tough giving these predictions sometimes, however, because I'm not one to count chickens before they hatch. That being said, I never been more excited for a sporting event in my life and I want to commend both sides on making it happen. Judgment day is May 2nd , and I hope people will enjoy this event as much as I on that momentous Saturday night! 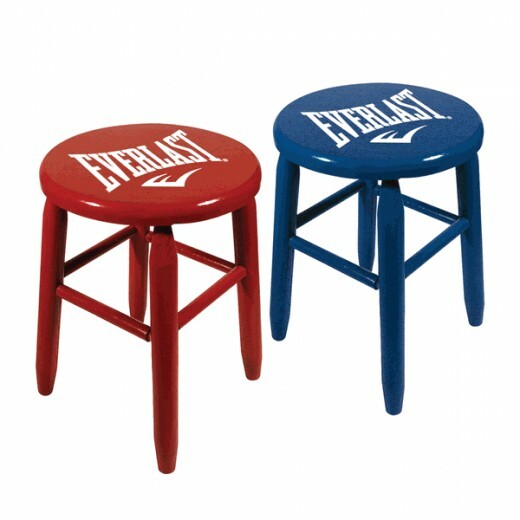 Who wins the fight between Mayweather and Pacquiao?